Renowned for the range of his scholarship and the courses he has developed, Christopher I. Beckwith has joined the ranks of Indiana University’s Distinguished Professors. A researcher in the Department of Central Eurasian Studies in the School of Global and International Studies, he is one of nine IU researchers and artists appointed this year and formally recognized at the Distinguished Professor Symposium on March 20 in Presidents’ Hall at IU Bloomington. The promotion complements a series of Beckwith’s distinctions, including being named a MacArthur Fellow (in 1986), and receiving a Guggenheim Fellowship, a Fulbright-Hays Fellowship, and a Japan Foundation Fellowship. 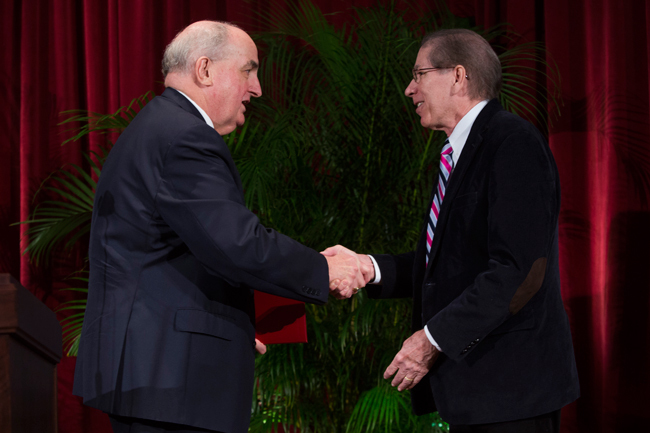 The Distinguished Professorship, IU’s highest distinction for its faculty, is reserved for scholars who have transformed their fields or achieved international recognition. 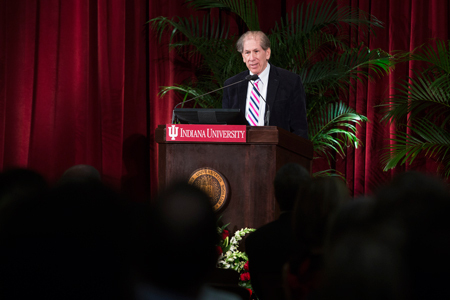 Over the course of his 41 years at IU, Beckwith has been invited to lecture at institutions around the United States and the world, and has authored 10 books and over 60 articles. The wide-ranging nature of Beckwith’s scholarship is evident in the sheer number of courses he has created at IU. In 48 distinct courses, Beckwith has introduced students to subject matter from Central Eurasian history, the Tibetan Empire, Islamic Central Asia, and Early Buddhism, to Early Medieval Europe and its Eastern connections, to Central Eurasian Art and Architecture. Along with many other cultural and historical topics, Beckwith has taught courses in linguistics, as well as on specific languages, most recently including Old Tibetan, Tokharian, Classical Chinese, and Imperial (Biblical) Aramaic. Nominations for distinguished professorships are made by faculty, alumni, professional colleagues, and students, and reviewed by the University Distinguished Ranks Committee. 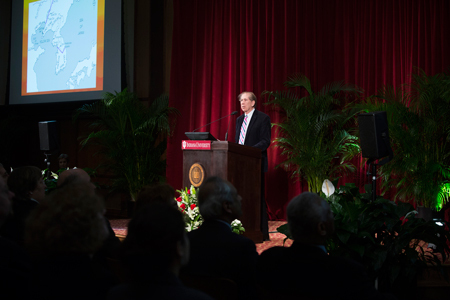 You can watch the full Distinguished Professors symposium online.